After 15+ years in the real estate business and many home purchase transactions, I can say with confidence that the best time to see a house is ironically the worst time to see a house. In other words, the best time to see a house is when the house is not looking its best – when its imperfections, wrinkles and warts are obvious. It’s easy to love a house when it’s a sunny, beautiful and warm afternoon, and when it’s in the middle of the day with the least amount of traffic or commuting noise. Those are nearly perfect conditions, and what house wouldn’t look great in that kind of situation? You want to see your potential new home in its worst case scenario. After all, if you still love the house in its worst state then you stand a much better chance of being happy with your home purchase. Before we get into the meat of this topic, I have a bit of a disclaimer and a general rule of thumb about home showings. First, you can’t always control when you see a home, especially that first showing. You could be relocating to the area, and you have 10 houses to see each day for three days. Your real estate agent is setting the schedule, and so you don’t have control over the time of the showing nor do you have control over the weather or cloud cover. In fact, you’ll never have control over the latter because as we know, the weather and skies can change in an instant. But I digress…. The time of the showing, however, is something you can and should try to control, especially when it’s the second time seeing the house. Next, the rule of thumb is about seeing the home in the light of day – be sure that you do. If you saw the house for the first time in the dark, which happens frequently in the winters of New England when it’s virtually nighttime by 4:30 p.m., make a point of scheduling the second showing when it’s light outside. If you think the house may be dark – see it on a gray day when the natural light is at its least. If you think the basement may be weepy or wet – see it on a day when it’s raining, preferably heavily, or see it just after a heavy rain. If you think a nearby school, baseball field or house of worship could affect the traffic congestion or parking around the house – see it when the school is letting out, the baseball game is in play or the church service is just about to begin. If you think a restaurant or factory just a few doors down may emit foul-smelling odors – see it when the restaurant is serving dinner or the factory is operating in full swing. I could go on and on…. The bottom line is that no house is perfect and that every house has its pros and cons. But when it comes to the cons, it’s prudent to make sure you see the home before purchasing it when the negatives are amplified or at their all-time worst. This way you’ll have fully researched and evaluated the property’s drawbacks and pitfalls so that there aren’t any surprises (or maybe more accurately said, so the surprises are minimized). If your new potential home is still appealing after seeing it at its worst, then you can have the confidence that it’s the right house for you. And on that positive note, I hope you enjoy the home-buying process, and I wish you the best of luck in finding the home that is right for you. Cheers! What are your thoughts on the best time to see a house? Have you encountered some of these concerns about your potential new home and scheduled a second or third showing at a time when you could see it in its worst case scenario? And did you end up buying that particular house? I can’t wait to hear…. Buying a Home: How Much to Bid Up in a Bidding War? This is a question that every home buyer wants to know if they are involved in a multiple bid situation, a.k.a. a bidding war. How much should they bid up the price to successfully purchase the home that they have finally decided to pursue while still not completely overpaying for it. My experience tells me that most people don’t go crazy when it comes to bidding wars. Ultimately buyers don’t want to overpay for a house and face an appraisal problem – and thus potential trouble with the mortgage contingency – or perhaps more importantly, a re-sale issue. As I pondered this, I realized that I had never tracked the numbers, and so I decided to do a brief analysis to see what the facts and figures told me. My study consisted of sold properties priced from $600,000 to $2,000,000 in the Wellesley and Weston markets in the last six months (August 8, 2014 – February 8, 2015), and I learned some interesting things. But before I get into all that, a few disclosures. First, it should be noted that this time frame represents the solds from the summer into the fall and early winter markets – not nearly as active as the Spring market is. Therefore the number of bidding wars was less than if I had used the Spring market time frame. Second, I focused on this particular price range because this is where most of the bidding wars take place. * Below $600,000, there’s not much of a market in either town. And bidding wars aren’t nearly as prevalent above $2M as they are below it. Third, some of these bids could have been higher during the offer stage but were ultimately reduced after the inspection issues were negotiated. And finally, we are assuming that these properties that sold at or higher than the list price were the result of bid wars, but it could have been a case in which a buyer saw strong competitive interest in the property and decided to “take the home off the market” by making an offer at list price or higher. 1. 40 out of 106 properties (38%) sold at list price or above. 2. Of those 40 properties, 7 sold at list price (17.5%) and 33 sold above list price (82.5%). 3. Of those 33 properties that sold above list price, the average sale price was 4.7% above list price. 1. 5 out of 46 properties (11%) sold at list price or above. 2. Of those 5 properties, 2 sold at list price (40%) and 3 sold above list price (60%). 3. Of those 3 properties that sold above list price, the average sale price was 1.4% above list price. Some intriguing conclusions for sure. First, there were significantly more bidding wars – or more accurately, cases in which the ultimate sale price was bid up from the list price – in Wellesley than in Weston. Though that’s not a surprise given the larger size of the market. What’s most to me was the average percentage that the prices were bid up – 4.7% in Wellesley and 1.4% in Weston – not much above the list price in either town. This is something to remember when you find yourself in a bidding war, competing against several other buyer parties for the home that you want to be yours. I’m hoping this study and the findings serve as a guide for you when you find yourself in a bidding war. One last caveat, however…. Keep in mind that this report detailed the average percentage increase in price. There were some sale prices that were 10% – even 28% – higher than the list price. In those cases, the term “multiple offers” was an understatement. For example, there were more than 15 competing offers on the property that sold for 28% more than its list price. This is not the norm, but if you ever do find yourself in a multiple bid situation with more than 10 other offers, then it’s time to shoot for the stars if you want to have the winning bid and successfully purchase the property…. What are your thoughts on this subject? Have you ever found yourself in a bidding war situation during a home purchase process? If so, did you bid at or higher than than the list price? And were you ultimately the winning buyer? I can’t wait to hear…. * The majority of multiple bid situations actually take place below $1M. In fact, 28 of the 40 Wellesley properties (70%) that sold at or higher than the list price were below $1M. And in Weston, 3 of the 5 properties (60%) that sold at or higher than the list price were below $1M. Let’s consider this scenario…. You’re buying a home and have finally found the ideal* property for you and your family. The next question becomes how to determine the purchase price so that you successfully procure your dream home, but at the same time, you don’t overpay for it. And what is the best way to determine the winning purchase price? This – as you might guess – is the $100 million question for buyers…. The answer is that there is no one way to determine the right purchase price. It’s not derived from a mathematical equation or a scientific approach but instead is more of an art form. It’s a blending of all kinds of information to ultimately determine the price. To this end, here are some approaches to use when you are trying to assimilate all the information at your fingertips to ascertain what’s going to get the deal done while simultaneously leaving both parties feeling satisfied and financially secure. Review the sold comparatives (comps) and assess the market trends – This is step #1. Find the sold properties in the price range of your potential new home and adjust for condition, square footage of the home, lot utility, location, etc. When reviewing the comps, you’ll need to assess the information using a state-of-the-market-filter. In other words, how does the current market affect the pricing? What has happened since these comps sold? Has the market gone up or down? This is another element of the comparative analysis that needs to be considered. Compute several mathematical equations – There are a variety of mathematical equations that will help provide valuable data points in your analysis. Again as you did with the comps, you begin with the sold properties in the price range of your potential new home. Then you turn your sights to the various equations. One is the average assessment to sale price ratio. Another is the average sale price/square foot then multiplied by the home’s square footage**. Next on the list are the average sale price to list price ratio and the average sale price to original price ratio. And there are others such as the seller’s purchase price plus cost to renovate or build***. This kind of equation can be especially relevant if the seller is “flipping” the home. Assess the Competitive Situation – How many other homes are on the market in this price range and how many other buyers are “circling” or seriously looking at this home? For example, if there are multiple buyers making offers on the property you feel is ideal for you, the right purchase price will likely be much higher, especially if you want to eliminate your competition, win the bidding war and ultimately be the home buyer. Look at the Days on Market (DOM) – Timing is not everything in the world of real estate, but it certainly plays a significant role. The longer the house has been on the market and hasn’t sold, the more likely the seller will be to negotiate (see #5 below). Conversely, if the property has just come on the market, and you hear that several buyers are making offers on the property, you know these will be very close to – or over – the asking price. Try to Understand the Seller’s Mindset – Has the seller bought another property? What’s important to the seller besides price – closing date, buyer profile or other factors? Has the seller turned down other offers? All of these questions will give you great insight into understanding whether the seller is more or less negotiable and therefore what purchase price s/he is willing to accept. This is a crucial element to understanding the pricing puzzle…. As you can see there are many factors that enter into determining the right purchase price, and it is prudent to consider them all and weight them accordingly depending on the scenario. It also should be noted that you might very well find that each of the above analyses and equations will lead to different answers about what is the right purchase price. 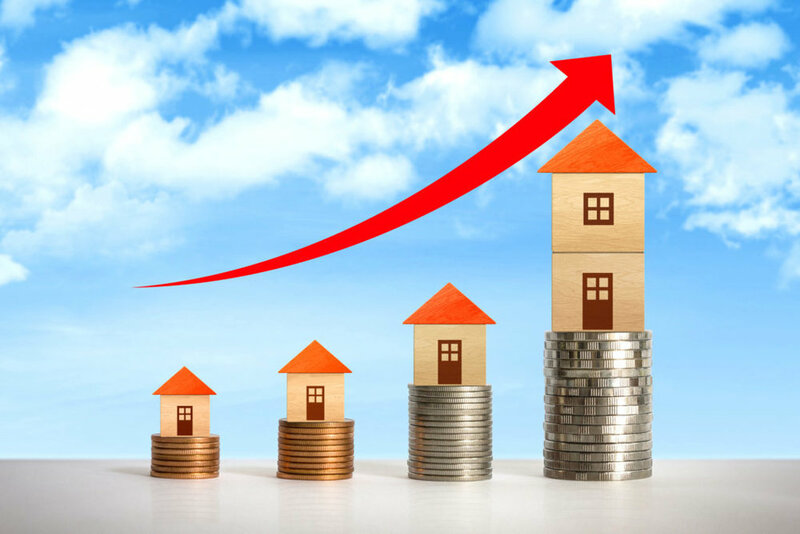 Some of them could yield similar numbers but not all of them will, which again leads you to the pertinent question – what is the true value of the home and what is the right purchase price to successfully buy the home but not overpay? My recommendation is to take all of the data, put your best foot forward with your offer and then negotiate keeping in mind your assessment of the right purchase price. The bottom line is that you’ll never know until you try…. Have you been in this kind of situation when you’re trying to determine the right purchase price for your potential new home? What factors did you consider? Was your strategy successful? I can’t wait to hear…. * An ideal home is a bit of a misnomer because, in my experience, there is no perfect home no matter what the price point. There is always some kind of concession the home buyer must make. ** Note that with this equation, the reported square footage on the listing sheet can be falsely inflated (its not usually deflated) to include finished basements, for example. The only way around this so that you are truly comparing apples to apples is to use the town’s public record for square footage, but even then this number can be out of date. *** This requires you to assume various prices to build/renovate which aren’t necessarily correct. For instance, if the seller renovated the kitchen, you could value that at a cost of $50,000 or $80,000 (or even more). And depending on which number you chose, your pricing answer would be very different. 1. Do make your initial offer as high as you can. In other words, as much as possible – do not lowball. It’s crucial that you start the negotiation in a positive way – it will influence the rest of the process. Starting off on the wrong foot will have dire consequences. I’m not suggesting that you overpay for a house or start the offer at a price with which you are uncomfortable; just remember in the back of your mind how important and significant your initial offer is. It will influence the rest of the entire negotiation, interactions and process, which as you know, can take months from start to finish…. 2. Do talk about your love of the house. In other words, don’t trash the house in an attempt to justify your initial offer price. Focus on the positives instead of the negatives. Of course, you may need to mention some of the work that you’ll have to do or the drawbacks to the house to explain your price, but do this as politely, gingerly and lightly as possible. I can guarantee you that a seller won’t want to sell his house to someone who talks endlessly about the flaws and shortcomings of his home. 3. Do complete all of the necessary paperwork. In other words, don’t put in the offer with half of the documents missing. Yes, buying a home is an emotional process, but it is also a business transaction and having all of the paperwork completed, legible and organized will make the seller – and the listing agent – think that you cared enough to take the time to make the process earnest and professional. The seller will likely take your fully-documented, typed, buttoned-up offer more seriously than one that appears to be “thrown in” and that is sloppy, careless and missing necessary documents. Furthermore he may interpret your professional offer as an indicator that you want the house, whereas he’ll question the motivations of the buyer who presented a sloppy, off-the-cuff, haphazard offer. What are your thoughts on the subject? Were there certain do’s or don’ts that you followed as you were making your initial offer on a property? Did they help or hurt you and your ultimate goal of purchasing the home? I can’t wait to hear…. And last but not least…please check out my corresponding blog – Selling a Home: The 3 Do’s of Responding to an Offer. The home buying offer process – whether it be in Weston, MA or Timbukto – brings with it a multitude of questions. I’d like to say some questions are simple and others are complex, but truthfully, they are almost all complex. There are so many variables and potential scenarios that can happen when making an offer, and there isn’t anyone who can forecast what will happen and what the cause and effect will be – unless there are any crystal ball readers out there 😉. After reflecting on this high degree of uncertainty and complexity that defines the home buying process. I’ve come to realize two things. First, acting – instead of not acting or waiting – is almost* always best when trying to buy a house. It puts you in control of your destiny – at least as much as is possible during this process. And second, you can only control what you do – not what the seller does and not what other buyers do. If you go back to these two principles during the home buying process, the right answer for you should quickly follow (fingers crossed)…. How high should my initial offering price be? As strong as you can make it. The stronger the price, the better. For example, if you’re making an offer on a house that is priced at $1,275,000 that’s been on the market for 10 days, and you’re deciding whether your initial bid should be $1,175,000 or $1,200,000, go for the latter. And then you can go up more slowly from that initial, slightly higher number. A higher-priced initial offer will always be better received by the seller, and it will set a more positive tone for the rest of the negotiation. That being said, you don’t want to overpay for the house, and so you’ll want to thoroughly evaluate the comps (sold properties that are comparable to the property). What is the optimal offer deadline? It depends. You want to give the seller time to respond, and you don’t want to make the deadline unreasonable. BUT you also want to make it tight enough so that other buyers have less time to get their acts together and put in competitive offers. So if you think there will be a multiple bid situation, make the offer deadline tight – 5’ish hours. But if you don’t think it will be tight, 12 hours (give or take) is more reasonable. And I never tend to go any longer than 24 hours – except in very special situations, like an estate when multiple family members and attorneys are involved. Also keep in mind the sleep factor when determining your offer deadline strategy. Negotiations tend to cease at bedtime (10’ish p.m.) and then start back up the next morning (8:30/9 a.m.). Does putting down more money at the P&S entice the seller to take my offer? It depends. The truth is that the Purchase and Sale Agreement (P&S) money is held by the listing firm or the seller’s attorney until the closing so the seller doesn’t have access to the funds. That being said, the increased downpayment can give the seller more peace of mind that the deal will stay together. Putting down 10% of the purchase price at the P&S means that you have “more skin in the game,” and it’s much harder to walk away from the purchase and your 10%. Just for your reference, more times than not in our neck of the woods, buyers put down 5% – and not 10% – of the purchase price at the P&S . How much more attractive is my offer without a mortgage contingency? In one word – VERY! This means that the seller has basically sold his house as soon as the inspection has been negotiated and the P&S has been signed – a time frame of about two weeks. Should I put in my offer prior to the open house? – My blog post, Making an Offer Before or After the Open House, goes into this question in extensive detail, but if you’re looking for the Cliff Notes, the answer is to act as soon as possible. That old adage, “Nothing ventured, nothing gained!” is in full force here. In the best case scenario, you would put in your extremely strong offer and have it accepted prior to the open house. Buyer beware – this approach won’t likely play out this way if your offer is not strong…. Should I put in my offer or wait to see if other offers come in? Assuming you would be making a strong, competitive offer, the answer to this question is always to put in the offer ASAP. It’s that old adage again, “Nothing ventured, nothing gained!” In this scenario, it’s 100% true. While making an offer puts you on the pathway to buying the house, waiting does not. You can’t purchase the house, if you don’t try. And more and more these days, I see listing agents “taking offers as they come” rather than setting an offer deadline. The next question that follows is, “Will my offer stimulate others to make offers?” And the answer to that question is unknown – maybe yes or maybe no. More importantly, though, it’s completely out of your control. The only part of the offer process that you can control is what you do – and not what others do. And so if you want the house, go for it! WAIT – I generally advocate acting over waiting, but in this case, time is your friend and waiting* could very well be the better path to follow. The more time that passes, the more negotiable the seller will become on price. But you run the risk of losing the property to another buyer who can readily afford the house. This is a tough one…. What are your thoughts on the subject? Have you had these or similar questions when you were buying a home? If so, how did you decide to proceed? And were you successful at purchasing the house? I can’t wait to hear…. * One of the times in which it very well could behoove you to wait rather than to act is when you can’t quite afford the property. You’re a home buyer looking in the towns of Weston, Wellesley and Wayland, MA, and it’s April 2018, a.k.a. the height of the Spring market. You’re looking for a house in the $1M range, and you’re facing hundreds of competitive buyers, many of whom are making offers that are without mortgage commitments and that are significantly above and beyond the asking price. In fact, some of these buyers are even waiving their inspection contingencies. Yikes! How do you even begin to compete in this kind of environment? Target homes that need some work. Most buyers today want a home that’s “move right in.” Their lives are too busy and complicated, and so they want something that’s easy. Therefore these turnkey homes are in high demand, and people go crazy over them. And by “go crazy,” I mean overpay, drop their mortgage contingencies and sometimes even waive their inspection contingencies. Everybody wants these houses. The demand is out of control. And so by targeting a home that needs some work, you will have less competition and your chances of not having to go out of your comfort zone to buy the house goes up significantly. Focus on homes that have accrued days on the market. This phenomenon usually goes hand in hand with tip #1 in that the homes that need some work often have accrued days on the market. But sometimes there are nice homes that simply sit on the market. Perhaps the house is overpriced, and there haven’t been any price reductions, and so the market has dismissed it. Or the market has overlooked the home for some reason that leaves agents scratching their heads. Whatever the reason, a home with accrued days on the market translates to a buyer getting a better deal without the crazy Spring market competition. Postpone your search slightly until the late Spring/early Summer. As we approach the end of May and enter into the summer months, home buyer demand wanes somewhat, but the inventory is often higher and so the intensity around bidding on and buying a house lessens. The same is true for the holiday season – late November into December. A small caveat, however…. If a “move right in” property in a great location at a competitive price comes on the market at any time of the year, it still will likely bring on a bevy of competitive offers. Downgrade your price point. This is another option though truly I’ve never had a buyer opt to do this. Once you see what you can get at a higher price point, it’s hard to downgrade. That being said, the theory behind this is that if you can actually afford much more than what you are offering for a house, then you have the freedom and opportunity to make an incredibly competitive and strong offer. What are your thoughts on this subject? Have you encountered a similar competitive home buying scenario? If so, did you use some of the tactics above to help combat the situation? Or were there other strategies you used? I can’t wait to hear…. When is the best time to buy a house? This is a question I am asked with quite a bit of frequency. And the answer really depends on what you’re looking to achieve. Are you looking for the best price? Are you looking for the most inventory from which to choose? Or are you looking for a house that you just can’t live without – your dream house? The Spring Market (generally runs from January/February through late May) – If you’re looking for the most inventory from which to choose, this is it. In our neck of the woods (Weston, Wellesley, Wayland and the like), the Spring Market is our strongest, busiest time of the year. The most homes are on the market, the most buyers are looking and the homes are at their highest prices. The upside is that you have more homes from which to choose, the downside is that you are competing with more buyers for homes and you are likely going to pay more. But sometimes you have no control over the timing. If you are relocating to the area or moving from the city, you need to buy a home in time for the start of the new school year in September. This often mandates buying in the Spring Market. The Summer Months (June, July and August) – The Summer Months can be interesting, and it’s hard to predict how they will be. Often if there’s been a late start to the Spring Market, the Summer Months can be quite active. But generally, it does slow down as people go on vacation, spend time relaxing and set their sights on things other than the real estate market. The good news about this? There is not as much competition from other buyers and prices can be a bit softer. The bad news is that there is usually a slow down of homes coming on the market so there is not as much inventory from which to choose. The Fall Market (September through mid-late November) – The saying goes like this, “It’s better to sell in the Spring (think higher prices) and buy in the Fall (think lower prices).” That being said, the Fall Market is the second strongest market we have – after the Spring Market. So the good news is that there will be more homes from which to choose and there will be less buyers with which to compete. The buyers of the Fall Market tend to be local buyers; those relocating have generally purchased their homes already. The downside is that prices are higher in the fall than during the Summer Months and the Holidays/Winter – though still not as high as they are in the spring. The Fall Market is the last hoorah – the last formal market of the year – and sellers often raise their home prices accordingly. The Holidays/Winter (mid-late November through the beginning of the New Year) – If you’re looking for a better price, this is probably the best time for you to buy. Plus you won’t be facing much competition from other buyers. But the downside to this time of the year is that the inventory is typically at its lowest so there is not a huge roster of homes from which to choose. Sellers generally take their homes off the market during this time when the market is slower and people are more focused on preparing for and celebrating the holidays than on buying homes. On a final note, if you have fallen in love with a house, the strategies above go out the window. Your dream house is available now (whenever that time might happen to be), and if you want it, you need to act. Furthermore, for those of you relocating to the area, you don’t have much control over when to buy either. You need to buy in time to have closed on a home by July or August so that you can register the kids for school and get settled into your new home and community. This usually means one thing – buying in the Spring Market. What are your thoughts? What time of the year did you buy your last house? And was the time in which you purchased your home something about which you strategized and over which you had control or not? I can’t wait to hear…. * These are general guidelines, and there are always exceptions to the rules and norms. Visit the property more than once – sometimes this isn’t possible if the property comes on the market, and there are five offers on it that same day. But if you have the luxury of going back to see the home a second time, make sure you do. You often see new things or view things differently on a subsequent visit. A second showing may ultimately make or break your decision to put in an offer. Find out what’s most important to the seller – usually it’s price, but often closing date, your plans for the house (i.e., tearing it down or renovating it) or other such matters can be equally as important. It’s crucial to know this information before you write up the offer. Put your best foot forward – you may not get a second chance so make the offer the strongest you can muster. That being said, the inspection contingency (unless you are knocking down the house) is something you always want to include. If you feel comfortable financially and can eliminate the mortgage contingency, this can significantly strengthen your offer in the eyes of the seller. But this is something you have to consider very seriously because if you don’t have a mortgage contingency and don’t get financing, you will be losing your 5% deposit, which can often be sizable. If you’re not comfortable with taking out the mortgage contingency, the other option – if feasible – is to put down more money and reduce the amount you are borrowing. This can also serve to lessen the seller’s anxiety about the mortgage commitment process. Picking your “best and final” number – make sure the final price you give is really your best and final. This way if you find out that buyer party #2 got the house for just $1,000 more than your bid, you won’t be devastated because you weren’t willing to pay any more than your best and final number. It helps if you think about this final price in those terms. Show your commitment to the home purchase – put down more money as a deposit. It is standard where we live to put down 5% at the P&S (purchase and sale agreement). Often in a multiple bid situation, however, you will see buyers increase that amount to 10%. And though it’s just a gesture, because the money doesn’t even touch the seller’s hands until the closing, it does show your deep commitment to buy the house. Get your offer in on time and have all of the pertinent paperwork attached – if there is a deadline for offers, and you are late in getting in your paperwork, you could be doing yourself a disservice. The paperwork at this point in the process usually includes the offer, contingency addendum form, agency disclosure, pre-approval letter, copy of the offer check and completed lead paint form. Keep your fingers crossed and a smile on your face – if you tried your very best, and you did not end up “winning” the house, don’t despair. Either the deal will fall apart and you will have a second chance at the house. Or more realistically, you will find another home that is likely better suited for you. I know it sounds cliche, but “what’s meant to be, will be” – and 9 times out of 10, this is true and a good thing too. Another factor to keep in mind is that you might want to communicate some personal background about yourself. This really depends on the scenario, and it is completely up to you and your comfort level, but sometimes adding some personal information can help the seller identify with you. On the other hand, sharing personal information can also work in reverse. But it’s something to keep in the back of your mind and weigh the pros and cons in each particular situation. What are your thoughts on this subject? Have you ever been in a multiple bid situation(s)? If so, how did you fare? Are there other tips you would add to help with the process? I can’t wait to hear….